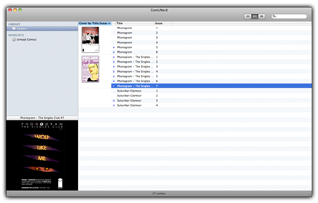 The ultimate user experience for reading and managing your comic collection. 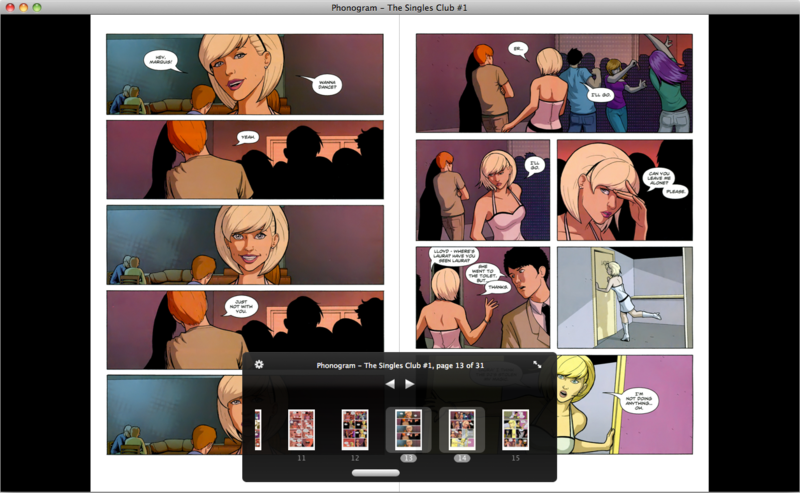 ComicNerd fits seamlessly with all of your other favorite Mac apps and helps you easily read and manage all of your comics (.cbr, .cbz, .rar, .zip) in one place. A clean and simple reader. 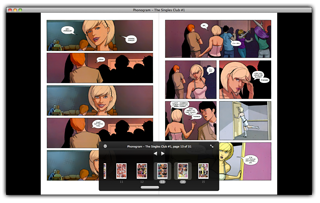 ComicNerd's reader is designed to be fast and easy to use. For users with MacBooks or the Apple Magic TrackPad, you can three-finger swipe to go to the next or previous page. 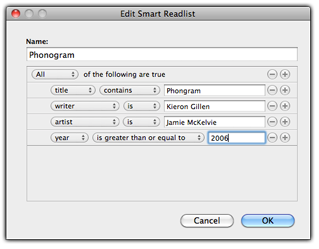 Easily create complex reading lists. Want to create a reading list for all issues of 'Nerdman' written by your favourite writer? Want to spend a night reading 'Tales of Nerding' from 1969? 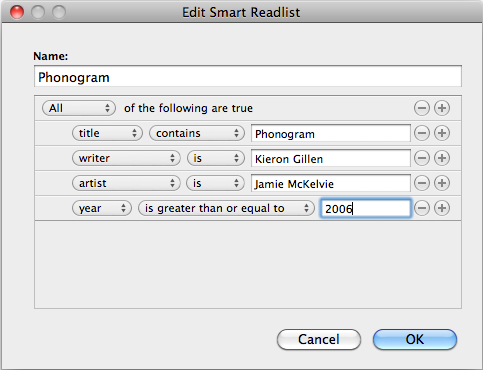 ComicNerd's automatic 'Smart Readlists' feature is for you. 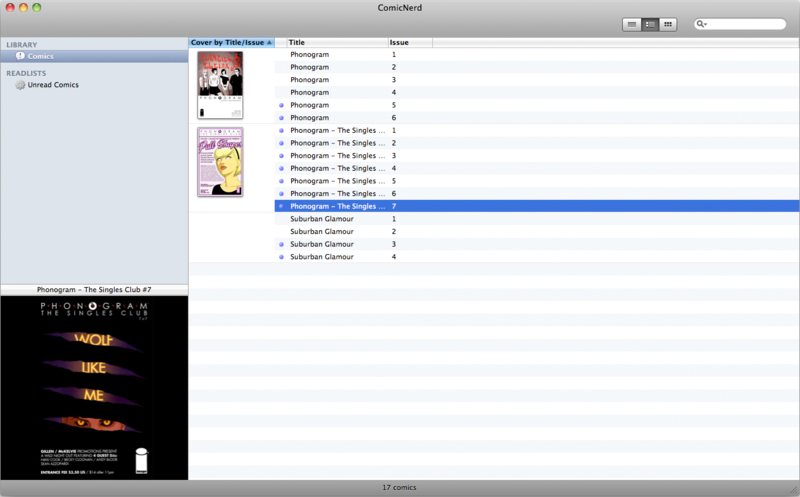 When comics are imported to ComicNerd, it will automatically find the title, issue, year and volume from the filename. No more laboriously entering all that information by hand!